Azeb like millions of Ethiopians lost a visionary leader. Azeb Also lost a beloved husband and a dear comrade. The thing about TPLF members/tegadelites is that they overcome adversity with valor always! Despite her loss Azeb is back on the job. And like any one of us she is keeping the promise torch (Hidri Meles) alive. Thank You Azeb and know millions are with you and the children! A Muslim Resturant and a Christian meat shop side by side in Arada Area, Gondar. Why, more than ever, Ethiopians should stand up to protect their proud religious traditions! Both the Muslim Restaurant and the Christian meat shop had been closed for Ramadan and Felseta (August) fast (for Christians). VOA Amharic discussion with Dr Assefa Fesseha and Dr Negasso on the new EPRDF leadership and over all transformation process. ኳሷ ኢሕአዴግ ሜዳ ላይ ነው ያለችዉ ! Zelalem, EPRDF government has no problem pardoning and releasing any one if it helps the democratization process as you all know! The problem is those pardoned and released do not seem to appreciate such gesture. What guarantee do you have if those in jail now will not end up in the same camp as Berhanu Nega once released? Can you promise at least you will write an article with a title " the ball is in the opposition field" if they are released? የአክራሪነትን አከርካሪ የሰበረው የመጅሊሱ ምርጫ! 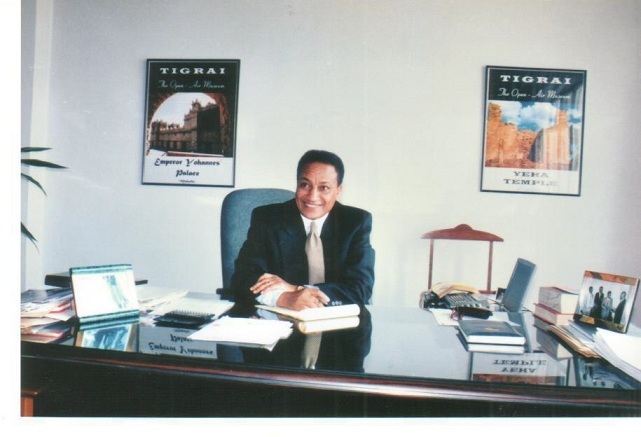 ሳስበው ሳስበው አቤና ተስፋዬ ገብረአብ አብደዋል! Abide by the Will of Citizens! Meles Zenawi and the Ethiopian State. Ethiopia's pundits come in all flavor. Some are well informed and some are ill informed. Some clearly are a hired pen and some independent. Medhane was one of the few independents left but it seems he is not any more. Meles was known for advocating for the development to go hand in hand along with the democratization process. But do not tell this to the likes of Medhane! Meles also knew early on that a small minority would always find it hard to swallow TPLF's triumph but our great visionary Meles always believed the majority would buy EPRDF's policy and agenda for development. But Medhane thought Meles should have paid attention to the small minority who wanted to hold the development agenda hostage! Meles was always quoted saying in Ethiopia if one cannot harness the power of the people and the wealth of the land no meaningful development can be achieved! Good governance was a corner stone in Meles' government. Yet, Medhane painted PM Meles as power monger and the strong EPRDF government in the same camp as that of General Park Chung Hee of South Korea! This is not fair at all. How about the four elections Ethiopia held so far Medhane? The Eritrean regime has a habit of selective reading of texts to fit them into its own bizarre worldview. This approach was in full view in the latest letter written by Eritrea's ..
ጽንፈኞቹ ቢጫውን ካርድ ያሳዩት ለማን ነው? Corruption: if we can�t win the fight, can we live with it? Ethiopia�s Rise, Oppositions� Demand: Should they be always mutually exclusive? The Moral Crisis in The International Crisis Group.